Keiji Inafune says the release date is "set in stone." Mighty No. 9 was a huge Kickstarter success: It blew past its initial $900,000 goal in just two days and finished with more than $4 million when combined with a separate, internal crowdfunding effort. But it hasn't been a very smooth ride since then. 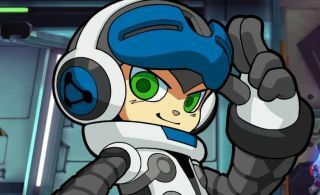 The release has been delayed multiple times, and developer Comcept has faced criticism for its lack of communication with backers, to the point that even Inafune's “gone gold” guarantee isn't entirely beyond suspicion: In October 2015 he pledged that Mighty No. 9 would not be delayed again, and in January 2016, it was.